Toby's Estate has been in my list since long ago. It was a coffee roaster and not just a cafe. 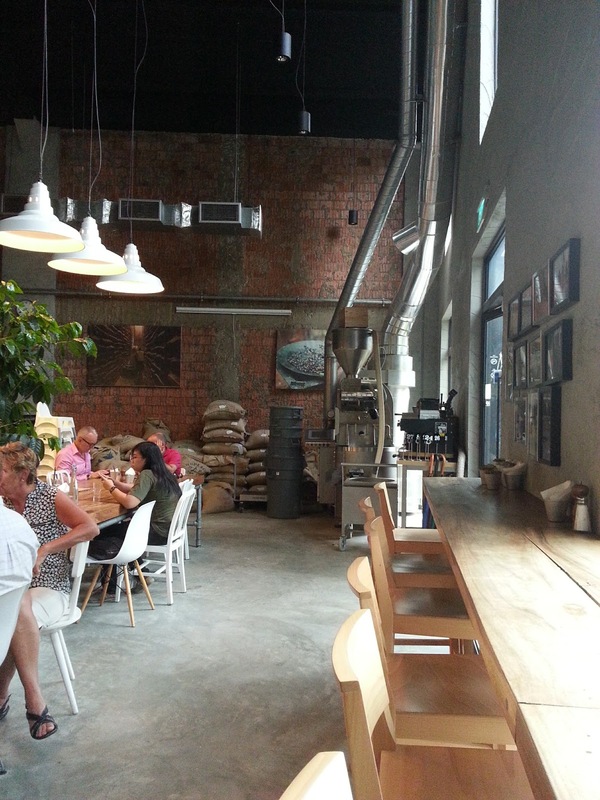 They are supplying roasted coffee to other cafes, that is. I was actually undecided as to which cafe to go after work but I want to go to Rodyk Street on Robertson Quay. 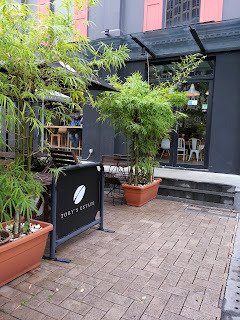 I strolled in the area and found a few interesting cafes but I went for Toby's since I thought that would be a better choice. I was not mistaken. Design. Toby's Estate was one of the best cafes around focused on coffee, since they are actually a roasters. There was a tavern-ish and vintage-y feeling upon entering the cafe. It was very spacious which was a comforting thing. 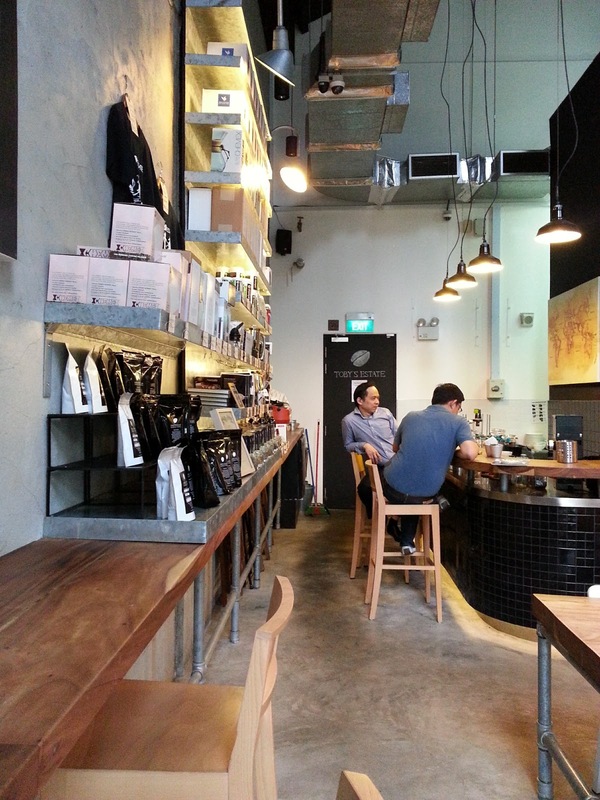 I fancy sitting in bar stools which I did here since I am alone. I didn't actually sit in the bar side, but in the corner of the cafe. Most of the furnitures were made of wood which is suited for the taverna concept of the cafe. On one side of the cafe were the coffee roasting stuff like the several huge sacks of beans and huge coffee bean roasting machine. The sight does not seemed off, rather it looked appealing to me. Perhaps it's because I like such stuff that's why. 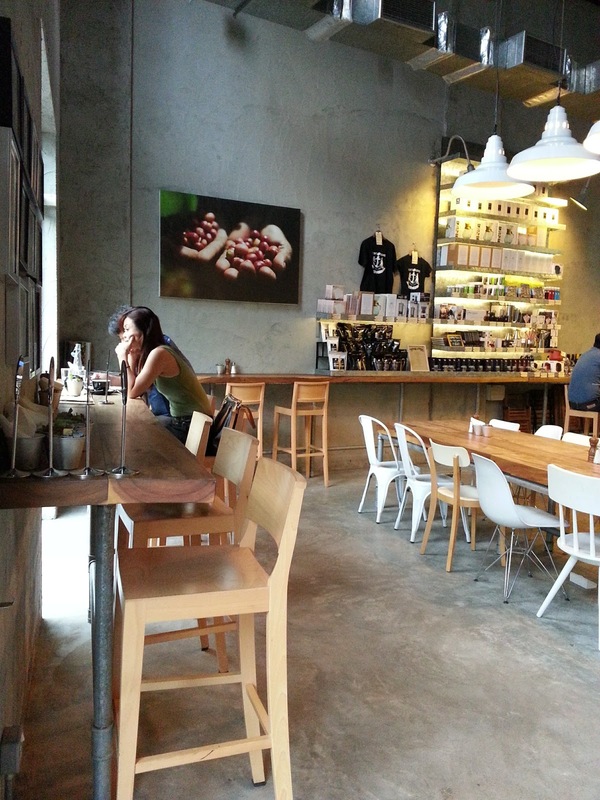 The cafe was artsy but not in the cute way. The design was more for young professionals and adults. 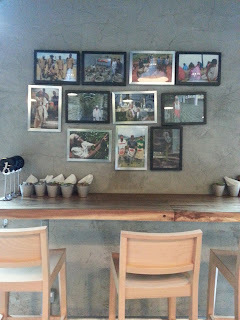 There was a mature feeling in the ambiance of the cafe. The decors have sophistication in it. 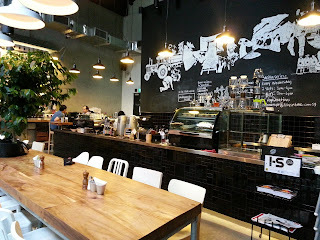 Actually, there were not much decors in the cafe besides the chalk or white paint art in the menu board, the merchandise displayed on the other side of the cafe, the coffee roasting stuff on the other and a few framed pictures which were about coffee. The walls were bare and not painted. 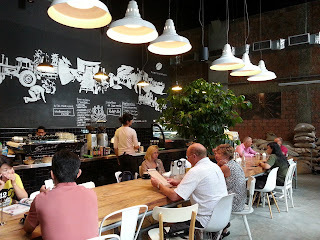 Even so, that did not make the cafe look empty. it actually improved the taverna and vintage feel of the cafe. 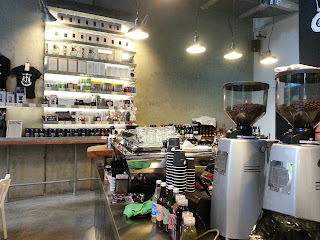 Perhaps, the lighting also helped in creating illusion of space in the cafe. Coffee and Pastry . Usually coffee shops, roasters in particular, do not make their own pastries. Most of the time, the pastries offered in coffee shops are outsourced from a different bakery. 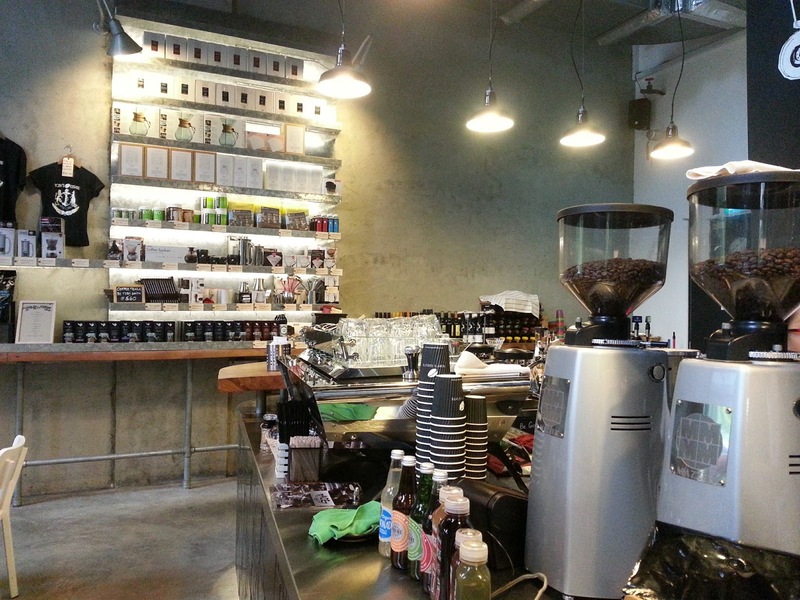 That was more convenient since the coffee shops wouldn't need more space for their kitchen because of the various cooking equipments. So far, I have not asked the cafes I've been to whether they are outsourcing their pastries or not. 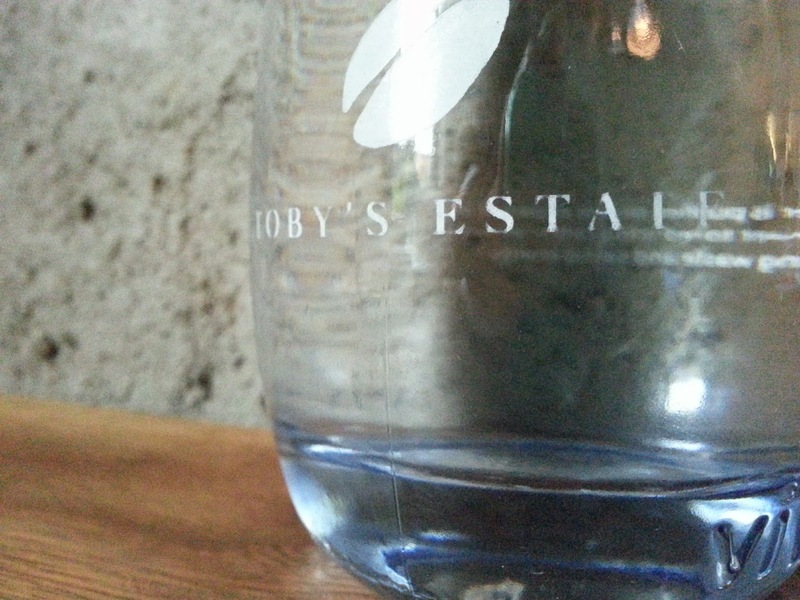 I believe Toby's Estate's were outsourced. Well, they are roasters after all. I ordered a Carrot Cake and a Piccolo latte and a Cappuccino. All were superb! 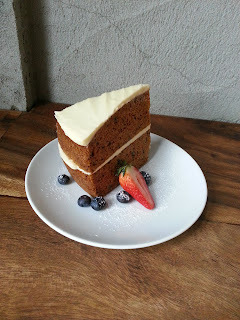 The carrot cake came first and surprised me with its huge serving. That was good though. I'm not very fond of fruit or vegetable based pastries but I'm starting to try and like them. 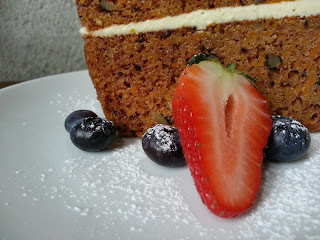 The carrot cake was really good and I'm adding that to my favorites. 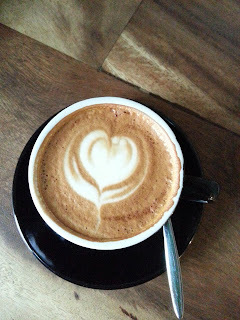 It was a bit sweet, and the cream was rich and creamy with just a tinge of sweetness. 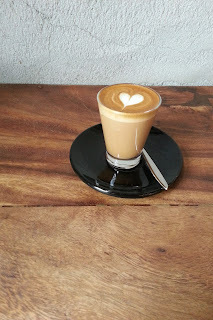 Then my piccolo latte came and seeing how small it was, I was certain that I would have another serving of coffee. Piccolo latte's strong coffee flavor complimented the sweetness of the carrot cake. Had I ordered a chocolate cake I could have gotten sick of the taste easily. 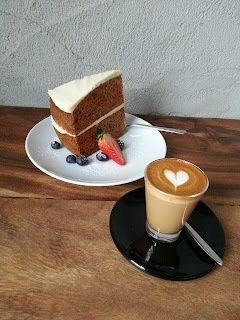 But the piccolo latte did not match the size of my carrot cake! So I ordered a cup of cappuccino. The coffee was full-bodied with rich flavor. It was delicious and not bitter. 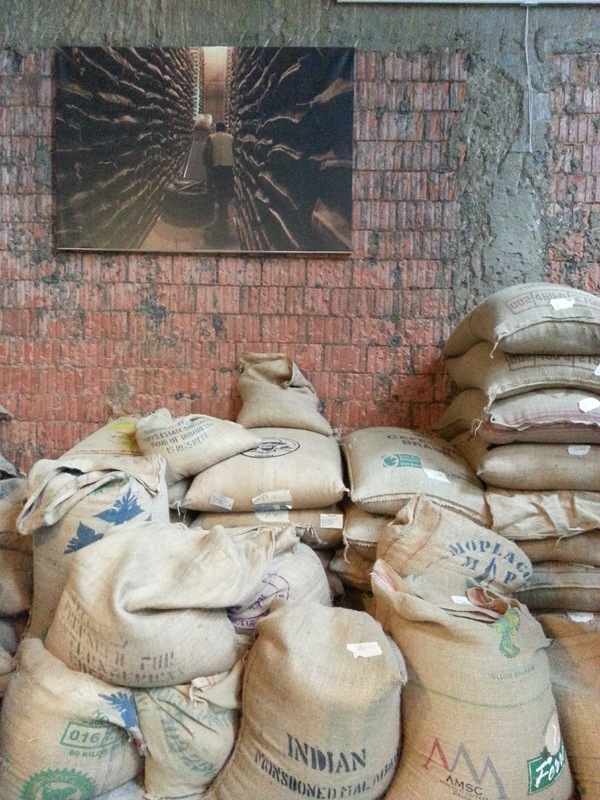 Well, I would expect no less from a coffee roasters. The milk foam was also rich and creamy and firm. Service. 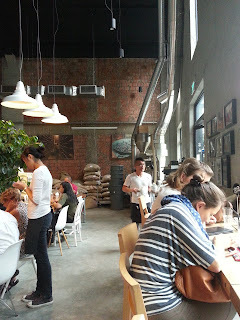 The cafe was pretty busy during the time I came. I love going to cafes when there was almost no one in the cafe. The staff were nice but not much accomodating. I kind of thought that they were snobbish. The staff all seem to b doing something all the time. So when I ordered the cappuccino and had already paid for everything, they forgot about my order. It didn't really annoyed me but I want something to quench my thirst. Well, bottomline, they need to improve their customer relations aspect. The staff are nice but they were always busy and they do not have much time to talk the customers. Whereabouts . 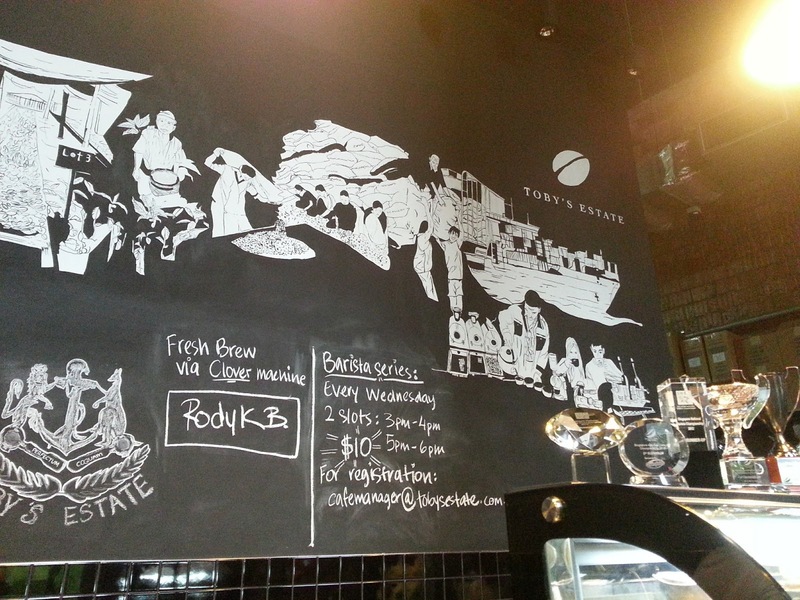 Toby's Estate is located at 8 Rodyk Street in the Robertson Quay area. Nearby bus stops were River View Hotel and Hotel Miramar stops where bus service numbers 51, 64, 123 and 186 pass by. 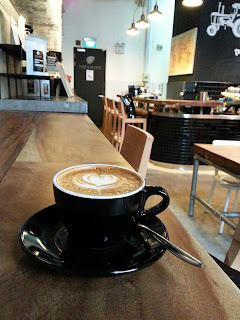 The closest MRT station was Clarke Quay Station and a good deal of walk along the riverside. The view was quite fascinating, in a way, which will never bore your eyes. Check my posts on The Turtle Trail as well.